Robert Kyikavichik was duck hunting on the Crow River in northern Yukon when he saw something protruding from the water. "We just noticed an unusual bone sticking up … so we went to check it out," he said. "When I'm travelling along the river, up the Crow, you always keep an eye out for stuff like that, but I didn't expect to come upon something like this." 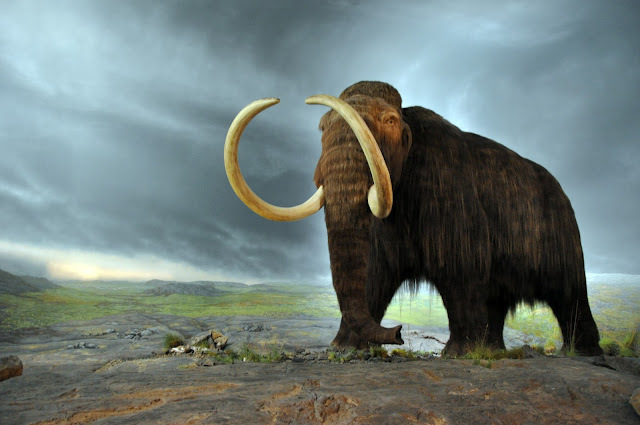 A paleontologist confirmed the find is definitely a woolly mammoth femur bone. It's at least 11,000 years old, and it could be a whole lot older. It may be from one of the first woolly mammoths to ever lumber across North America, a million years ago. 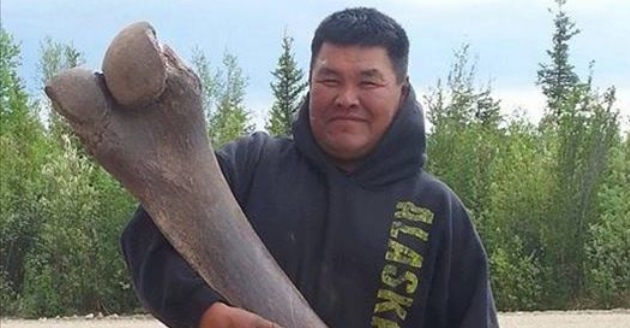 Kyikavichik, who lives in Old Crow, said he found the bone while he was out duck hunting with his young son and nephew on the weekend, about 100 kilometres up the Crow River from his community of about 250. He immediately hauled it aboard, to the delight of his son and nephew. Yukon government paleontologist Grant Zazula has not yet seen the bone up close, but he saw a picture that went viral on social media Tuesday morning. 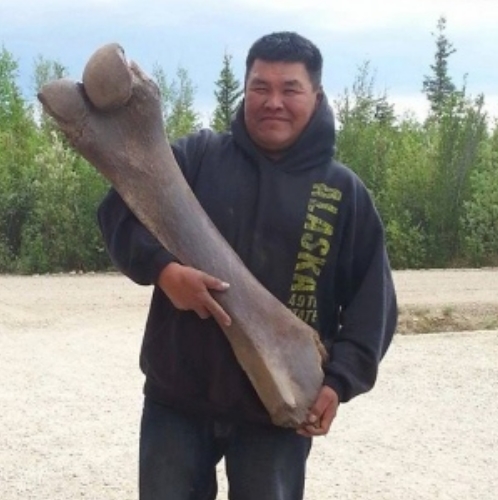 Definitely a woolly mammoth femur bone, he said — from the thigh, connected to the hip bone. "Pretty impressive," he said — not because it's extremely rare, but because it appears to be a good specimen, surprisingly intact. "We don't usually find complete bones in that area because they've been rolling around in a river and getting banged up by rocks and other things. "So to find something fairly complete like that is pretty nice." Responses to "Native man fishes 11,000 years old woolly mammoth bone out of Yukon's Crow River"
Pretty easy to find something liek that in Gainsville, where paleolithic bones are more common than anywhere else in the world, and occasionally rise to the surface of dried up ponds.